What is grayscale? 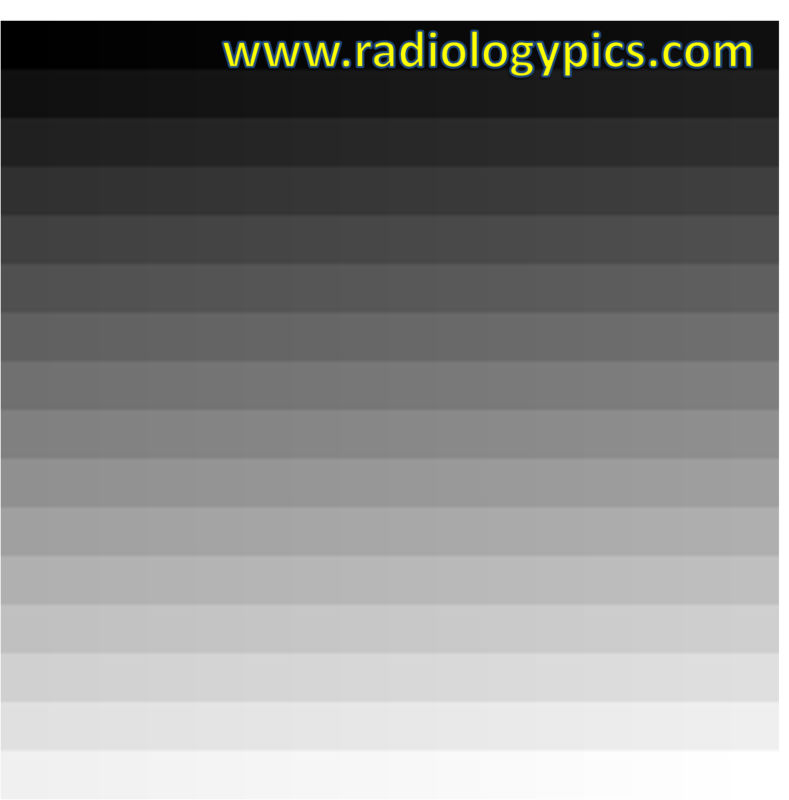 Grayscale is essentially the underlying basis of all images a radiologist reviews on a PACS (picture archiving and communication system) workstation. Each pixel on a digital image has one inherent value on the grayscale, varying from no intensity (black) to the highest intensity (white). Each pixel is stored in binary code and each pixel (as a value of “0” or “1”) is composed of 8 bits on today’s modern computers. This allows 2n different combinations of code for each pixel, where “n” equals the number of bits. Therefore, 28=256. Historically, older monitors stored images with only 4 bits per pixel, allowing only 16 shades of gray (24=16). As you probably already know, each byte contains 8 bits which means one pixel composed of 8 bits is one byte. The above image has 256 shades of gray.